I bought it with the thought of upgrading the components with modern ones but it is in such good shape and works so well as it is. I had never used downtube shifters before but it didn’t take long to get used to them. It is such a pleasure to ride. Smooth, light, fast. 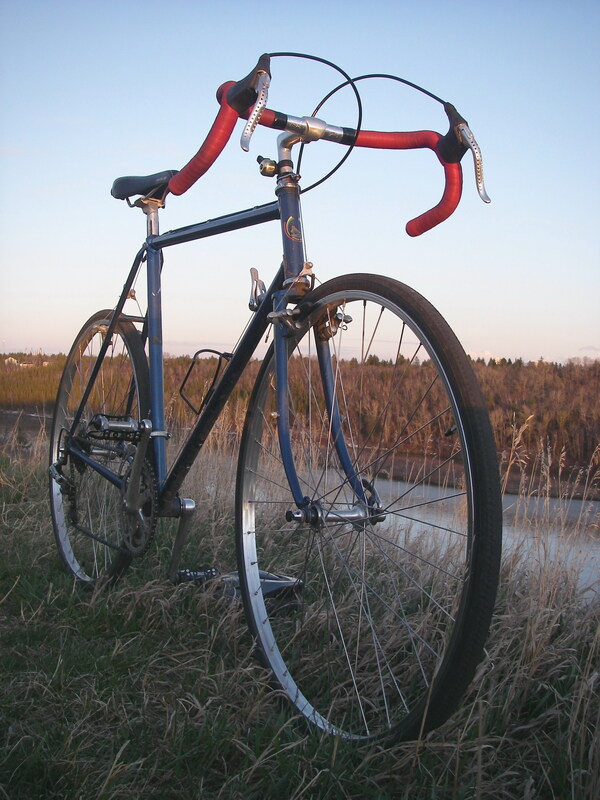 Since this picture was taken I have added a vintage Ideale saddle, Velo Orange fenders and a vintage Blackburn rear rack.